The Rusty Nail in Campoverde raised 6500 euro to purchase 3 defibrillators, one of which is available directly outside the bar. Through the generosity of a Campoverde bar owner, his wife and their customers, the municipality of Pilar de la Horadada is now the owner of three pieces of life saving medical equipment. 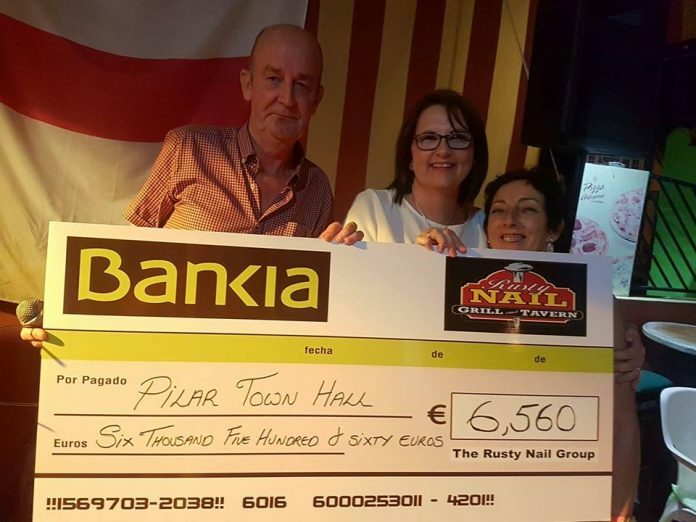 Jimmy and Clare McGill, together with the patrons of The Rusty Nail, have raised over 6,500 euros which was used by the Pilar council to purchase three defibrillators, one of which has now been located adjacent to the Campoverde bar. Following the death of a client in the bar last year, Jimmy and Clare were absolutely devastated. The customer felt unwell so an ambulance was called. Unfortunately the man died so there was nothing that the medics could do. Still impacted by the memory of their deceased client, Jimmy and his wife then decided to organise a series of charity galas, with the intention of raising enough money to buy a defibrillator for Pinar de Campoverde but they were absolutely amazed by the response of their regulars as more that 6500 euros was raised from fundraisers and galas in a very short time. 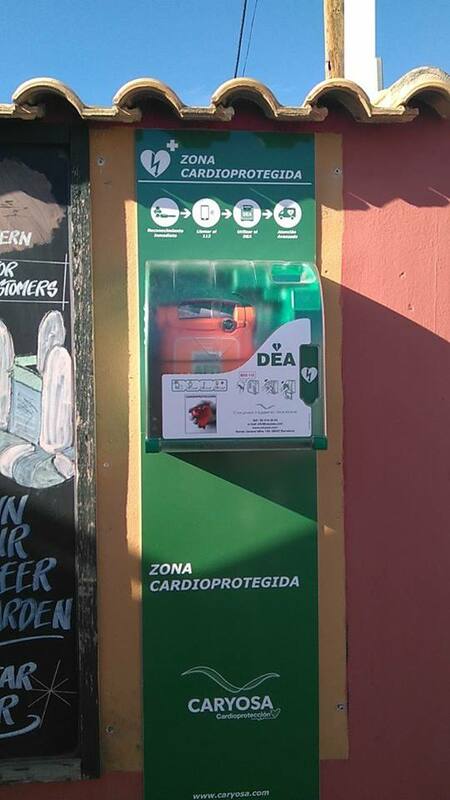 The money has now allowed the purchase of three defibrillators that have already been installed in Pinar de Campoverde, one at the sports complex, a second in Avenida del Pino at the entrance to the commercial area and the third next to The Rusty Nail, although Jim said that he hopes never to use it. Already, however, a successful course has been run by the bar in English so it could be used should the need arise. It is now planned to install a further six defibrillators around the municipality which will be paid for by the town council. Unfortunately the need for these defibrillators was first identified because of a tragic death but what has now resulted from it is the emergence of a number of anonymous heroes who have demonstrated that there is still a great deal of goodness to be had from people who selflessly help others to live a better life. And in Campoverde, amongst the expat population, and thanks to this gesture of unanimity this small Spanish village has now become a heart-healthy municipality.